04 Jan 2009 - Submission of Paper Abstracts for review. 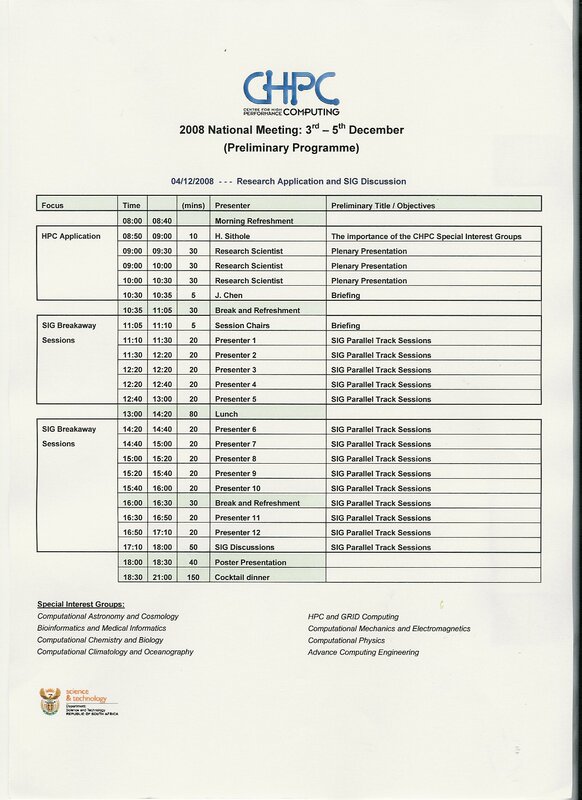 26 Apr 2009 - Final submission of revised abstracts, registration of at least one author. 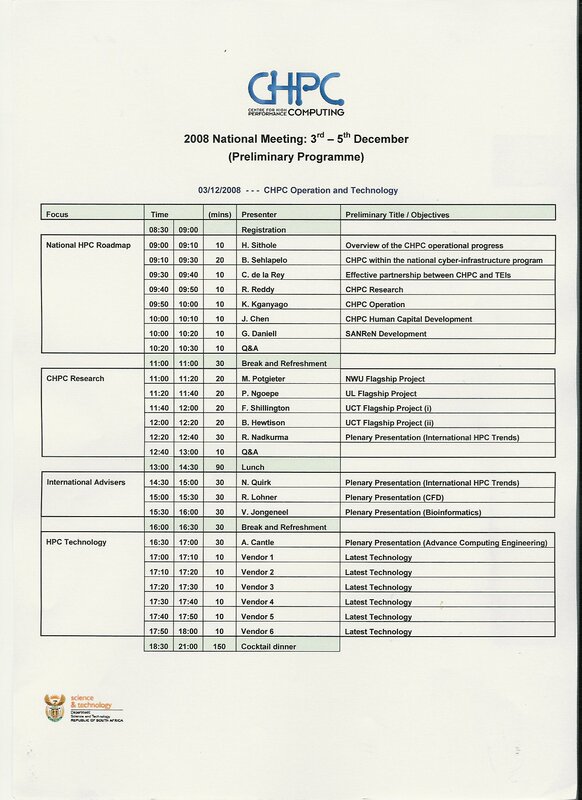 To be attended by all students who have received SKA / KAT funding during 2007. 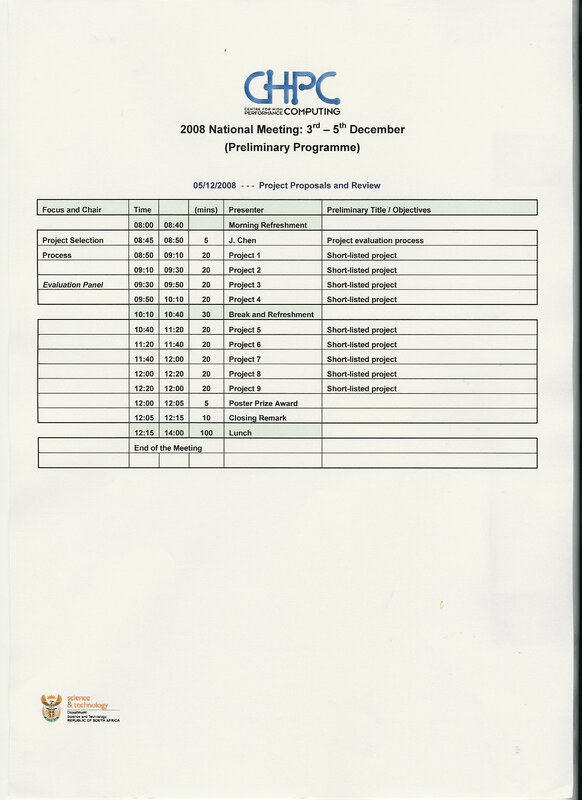 Draft Programme available in scanned format. Click on the links below to download the JPG.